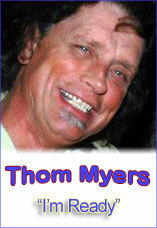 Co-founder and a driving force behind the 1997 formation of the Sierra Blues Society and long-time member of the Sacramento Blues Society, Thom Myers says, “We wanted to bridge the gap between the local blues enthusiast and the international blues movement.”As a young teenager Thom was turned on to the blues by his older sister’s Huddie Ledbetter album, aka. Leadbelly. “For hours I’d listen to that old recording. Rock n’ roll just didn’t do everything for me. I always liked blues and R&B music better”, he recalls. As a preteen, Thom was peeking at Ray Charles and James Brown from the other side of the fence … he was not old enough to get in.As Thom grew up, so did his musical tastes. The Rolling Stones and their English-style Blues sounded good. 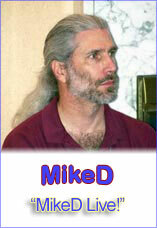 He attended Blues Cruise vacations and volunteered at the Sacramento Blues Society events. That’s where he got the idea to form the Sierra Blues Society and says, “The idea was to fill the void between the Sacramento and the Reno Blues Societies. There are a lot of blues fans in the foothills, and they’d have to travel many, many miles to hear the music otherwise.”It wasn’t long before the opportunity to become a broadcaster on the local community radio station KVMR FM Nevada City came a knocking at the door! Within three months upon completing broadcaster training, Thom was assigned a blues show. Finishing up his twelfth year with KVMR, he has become a blues spokesman for the Central California. 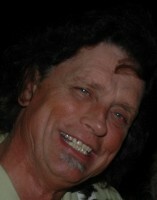 All of this experience and knowledge has now morphed into his ultimate idea, and ownership, of an internet blues station, ‘The World Of Blues.com’From Lead Belly, to Howlin’ Wolf and Big Joe Turner, to the Stones and Janis Joplin, to The Blues Survivors, Thom’s knowledge of the genre is extensive. His selections are an education in the blues!